Cabana Beach Towels! Perfect for days at the pool, dorm living, Spring break, bachelorette parties, the beach or even in a kid's bathroom. 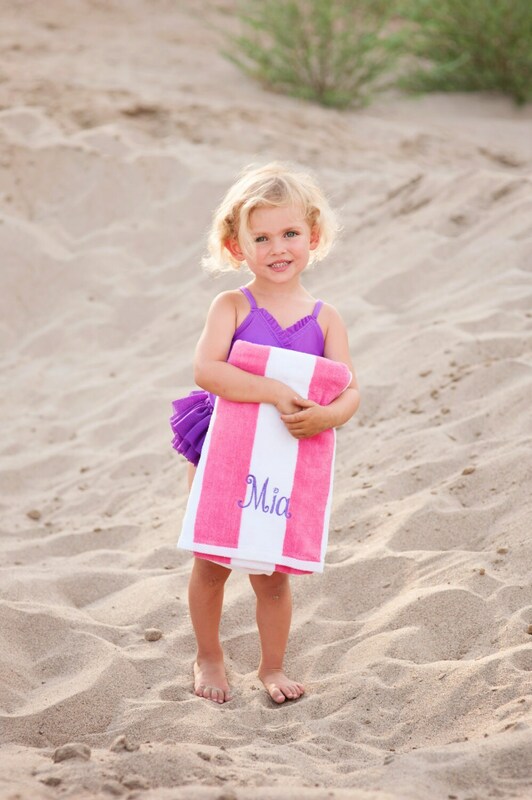 Our large 35"x62" resort-style terry velour cabana stripe beach towels are custom embroidered with your child's name or monogram in a thread color of your choosing. Our monogrammed towels make a great Graduation gift, too! Towels are available in 8 colors, they are all white striped.